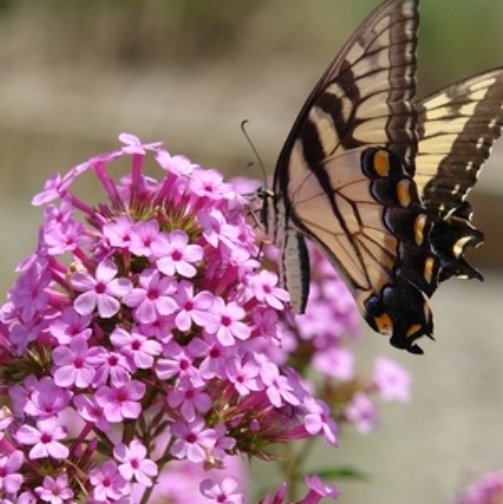 Phlox paniculata "Jeana'. 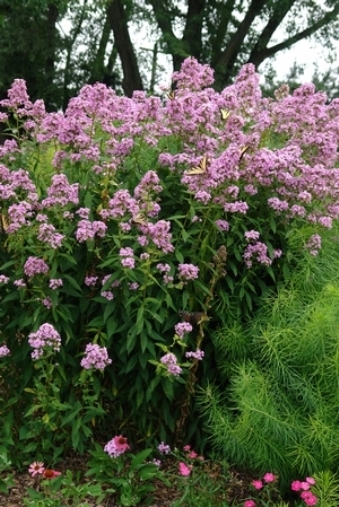 Found by and named after Jeana Prewitt of Nashville, TN, this selection possesses outstanding mildew resistance with varying shades of sweetly scented, lavender-pink flowers, vibrant midsummer through early autumn. Foliage remains clean green while flower clusters create a tiered effect along upright, multi-stemmed branches. Expect a flurry of pollinator activity!